Governor, Ibikunle Amosun, the governor of Ogun state has again stated that Adekunle Akinlade of the Allied Peoples Movement (APM) will win this year’s governorship election in the state. Amosun also advised the federal government against deploying soldiers to the state for the polls, even as he assured that the elections would be free of violence in the state. He stated this Monday night at the New Year cross-over fanfare held at Oke-Ilewo in Abeokuta. The governor, who was re-elected in 2015 on the platform of the All Progressives Congress (APC) and is running for the Senate on the party’s platform, is backing Mr. Akinlade who moved to the APM after losing the APC ticket to Dapo Abiodun. According to Premium Times, the ruling party’s candidate, Abiodun, is currently enmeshed in a certificate forgery scandal after being exposed for not participating in the mandatory one-year national youth service for Nigerians who obtain a first degree or its equivalent before the age of 30 years. Amosun boasted that his protege, Akinlade, will beat Abiodun and other contestants and emerge as the next governor to take over from him in May. The outgoing governor called on the people of the state to make peace their watchword as the elections approach. 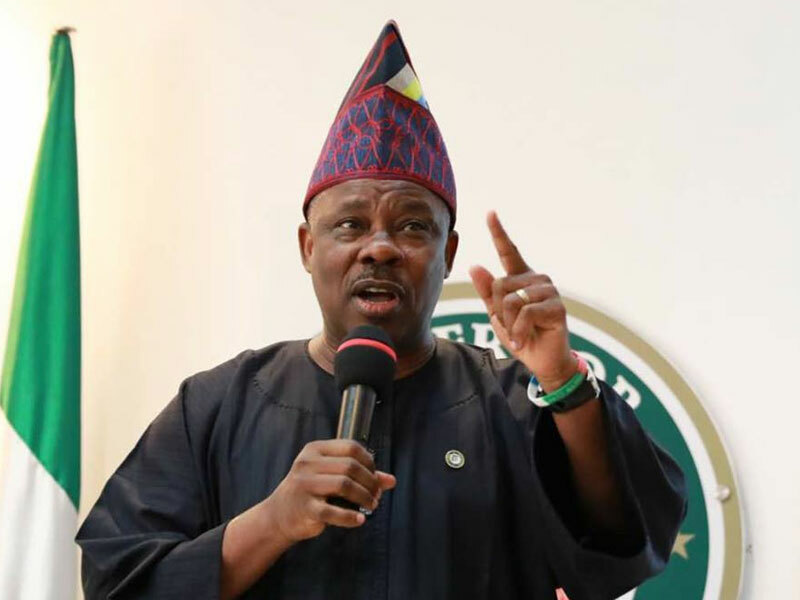 “Let us prove to the world that Ogun State is known for peace and a state which has produced a number of eminent personalities in the country,” Amosun said. As he prepares to leave office, Amosun thanked the people of the state for their contributions to the success of his administration, noting that the crossover ceremony will be his last as their governor. He expressed optimism that the next edition of the event will be conducted by Akinlade, and he would be invited as a former governor of the state. Amosun said he has done his bit in adding value to governance, noting that the support he got from individuals and bodies contributed to his achievements in office. The crossover ceremony attracted a number of fun-seekers who were entertained by various artistes and musicians. Traditional rulers led by Alake and paramount ruler of Egbaland also graced the occasion. Other notable personalities at the event include Sarafa Ishola, a former Minister and Director-General, Akinlade Campaign organization; Olufunsho Amosun, wife of the governor; Olanrewaju Bisiriyu, the Head of Service; Akinlade and Suraj Adekunbi, Speaker of Ogun State House of Assembly.